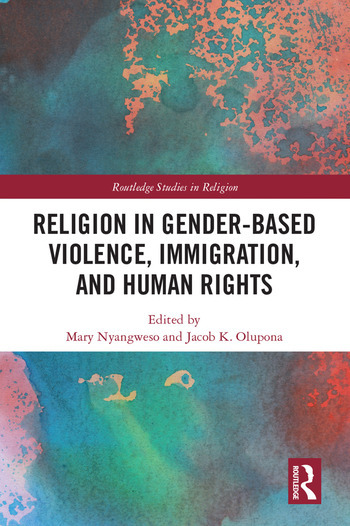 This book builds on work that examines the interactions between immigration and gender-based violence, to explore how both the justification and condemnation of violence in the name of religion further complicates our societal relationships. Violence has been described as a universal challenge that is rooted in the social formation process. As humans seek to exert power on to the other, conflict occurs. Gender based violence, immigration, and religious values have often intersected where patriarchy-based power is exerted on the other. An international panel of contributors take a multidisciplinary approach to investigating three central themes. Firstly, the intersection between religion, immigration, domestic violence, and human rights. Secondly, the possibility of collaboration between various social units for the protection of immigrants’ human rights. Finally, the need to integrate faith-based initiatives and religious leaders into efforts to transform attitude formation and general social behaviour. This is a wide-ranging and multi-layered examination of the role of religion in gender-based violence and immigration. As such, it will be of keen interest to academics working in religious studies, gender studies, politics, and ethics. Mary Nyangweso is Associate Professor and the J. Woolard and Helen Peel distinguished Chair in Religious Studies at East Carolina University, Greenville, North Carolina, USA. She is the author of Female Genital Cutting: Mutilation or Cultural Right? (2014) and Female Circumcision: the Interplay Between Religion, Gender and Culture in Kenya (2007). Jacob K. Olupona is Professor of African Religious Traditions, Harvard Divinity School and Professor of African and African American Studies in the Faculty of Arts and Sciences at Harvard University, USA. He is the author of several books, including City of 201 Gods: Ilé-Ifè in Time, Space, and the Imagination (2011).